Barry Jenkins’ directorial style has been described by some as “cinematic poetry,” and while such a description is fairly apt in describing his 2016 Oscar contending “Moonlight,” “If Beale Street Could Talk” may demonstrate the weight his craft lends to his storytelling even better than his exceptional best feature award winner. Fonny Hunt and Tish Rivers’ romance, set in the mid 20th century amid high racial tension in America, takes a tragic turn as Fonny finds himself on trial for a sexual assault that he didn’t commit, facing a jury apathetic to his plight and a judicial system stacked against him. As he struggles to survive prison, Tish fights to keep his spirits strong and her family together while preparing for the birth of their child in hopes that justice will prevail. The oppressive bleakness tinged with hope and overcoming adversity of the James Baldwin novel from which the film is adapted displays the struggle of an institutionally persecuted minority culture that is sympathetically tragic yet very matter of fact. Although the world that these characters occupy is a realistically harsh and unforgiving one, the film is never without moments of respite, taking solace in the little moments of pleasure, joy, and beauty that life has to offer even if it gives cause for reflection on the tragic state of things. Fonny reflects upon the prison sentence of his friend, a man who served years for an alleged grand theft auto despite the fact that he didn’t even know how to drive because taking the plea deal for it was easier than facing the stigma of a completely unrelated charge for possessing marijuana before shifting gears to comfort the man with lighter subject matter and an offer of another beer. Even watching the two hunt for a place to live, leading them to a potential loft that the audience knows will tragically fall through is laced with a sincere sense of relatability and optimism that only draws you further into their plight in hopes of seeing them overcome. 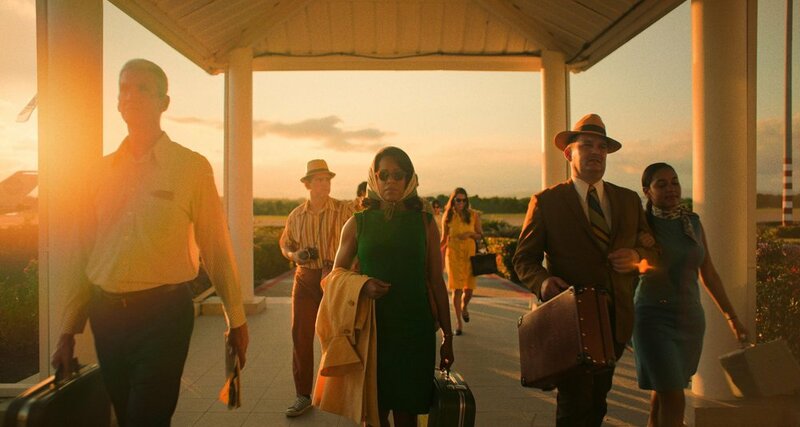 In “If Beale Street Could Talk,” Jenkins manages to combine the intimacy of theatre, the scope of cinematic editing, and moving cinematography choices to tell a human story about struggle, injustice and the worth of life in the face of its ugliness that displays masterful filmmaking on a technical level but especially draws attention to the power of the script and the stupendous round of performances offered by his cast. Regina King’s acclaimed performance as Tish’s mother very much delivers on its hype, as her strength and conviction never fails to not only convince but balance out the warmth she aims to consistently project towards those she cares for. Stephan James also manages to hammer home the tragedy of Fonny’s plight considering his assertive but soft spoken nature as an artist denied what he loves and what inspires him due to the farce of the justice system. The cast is additionally littered with character actors and upcoming stars who utilize their presence to powerful effect but if there’s anybody who should be receiving more attention, it’s Kiki Layne. The layers that she has to carry between tenderness, softness, sorrow, and determination that she manages to switch in and out of on the fly with just enough dialogue to force her to make every line delivery count is central in holding such a strong film together and is hopefully the beginning of a prosperous career. Graduating from Texas A&M University—Commerce with a bachelor's degree in News and Editorial Journalism, Jordan Wright has lived most of his adult life professionally critiquing films, from major blockbusters to indie dramas, and has no intentions of stopping.